"The evidence base indicates that the relationship the Prime Minister and his closest associates had with (the owner of Bezek) Mr. Shaul Elovich was corrupt," the press release says. Knesset legislator Yoel Hasson demanded that Netanyahu resign after the police published their Case 4000 findings. 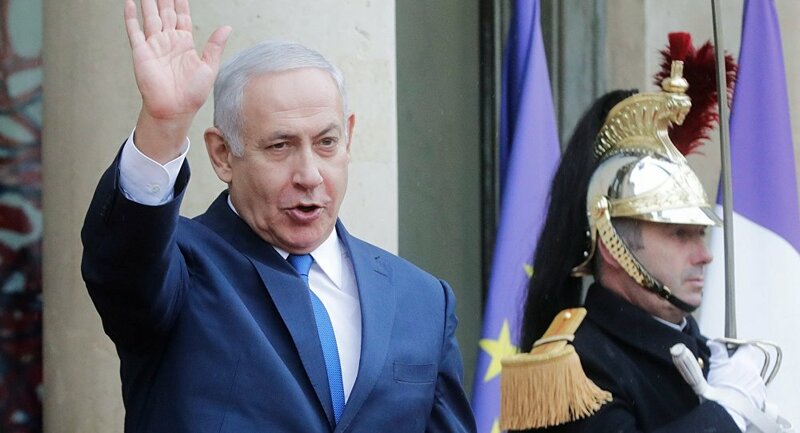 "Netanyahu, your time is over," Hasson said. "Israel must go to elections, not in May or November, but now!" Netanyahu responded by issuing a statement, in which he said that the police recommendations against him had no legal basis. "These recommendations were determined and leaked even before the investigations began," Netanyahu said. "I'm sure that in this case the relevant authorities, after examining the issue, will reach the same conclusion: that there was nothing because there is nothing," he added. The Netanyahus have been repeatedly questioned as part of the investigation. The "Case 1000" has focused on Netanyahu's receipt of expensive gifts from members of the business community, the total value of which is estimated at $300,000. In "Case 2000", Netanyahu is alleged to have attempted to conclude a deal with the Yedioth Ahronoth publisher, which was to cover the government's activities in a favorable way, as part of the deal. Netanyahu, for his part, said he would adopt a bill that would limit the opportunities of the Israel Hayom newspaper, Yedioth Ahronoth's main competitor.